Summer’s decidedly underway here, and to celebrate (actually an anniversary gift), B gave me a copy of Spritz: Italy’s Most Iconic Aperitivo Cocktail, with Recipes. We decided to go for a couple of classics, before wading into the modern machinations. 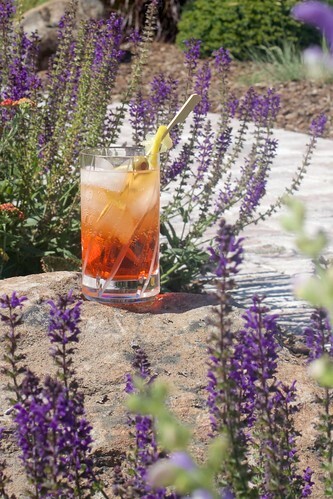 Spritz’s originally started out in the 1800’s as a way to weaken the local wine when a bunch of Austrian’s found themselves trying to govern Veneto (Italy) with wine that was rather stronger than they were used to. By the early 1900’s, the invention of soda siphons made it possible to add fizz to still wines. Over the intervening decades, the addition of bitter amaro liqueurs like Campari and Aperol made them a bit more grown up. Because of their lower alcohol content and slightly bitter flavor, they are particularly suited to warm summer afternoons. Add the ingredients, in order, to a glass with ice. Garnish with a skewered olive and a slice of citrus. 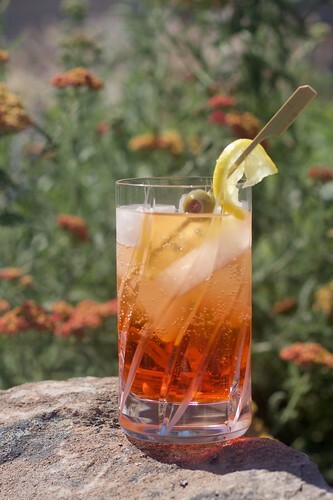 The authors also recommend Campari for a “bracingly bitter spritz”. The amaro in this spritz keeps it from drifting into cloying insipidness. 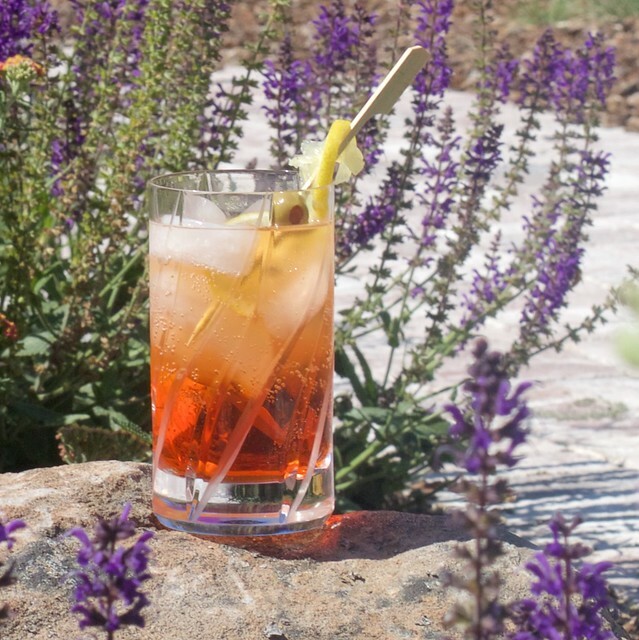 This spritz is definitely a great choice the next time you find yourself in possession of a warm summer afternoon with a couple of extra hours that need whiling away.